You’d probably agree with me when I say that SaaS marketing is different from traditional marketing. SaaS marketing is almost entirely digital, the amount of product licenses you can sell are endless, and sales can happen extremely fast. Just a few clicks if you’re lucky. But as a SaaS marketer, you don’t want to be lucky, you want to be smart. And if you know anything about selling software as a service, you know that email marketing can help. 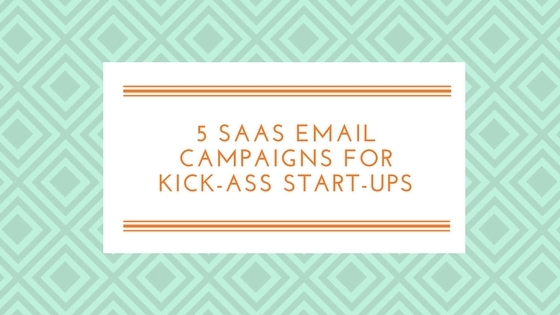 Today I’m going to outline five distinct SaaS email marketing campaigns that will help you with your goal of increasing your conversion rates and taking visitors, to trialists, to premium users. 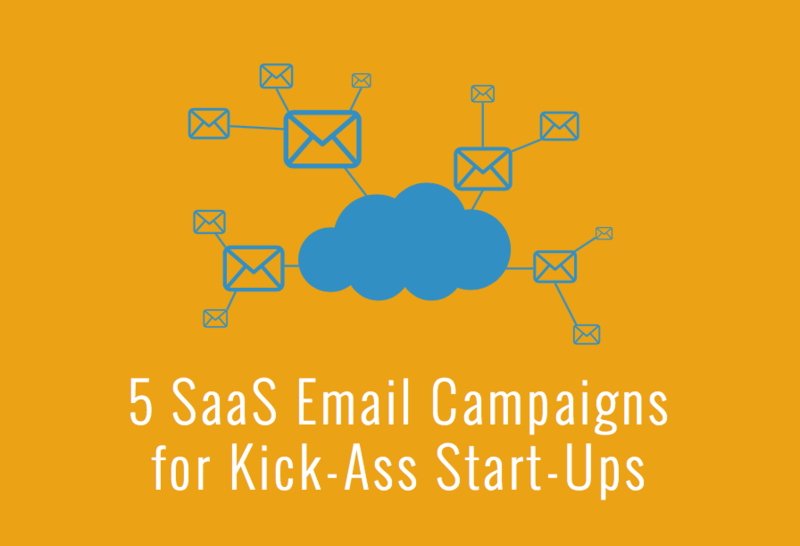 Free PDF Download: Get access to a free downloadable PDF that will show you how to implement these five SaaS emails. Before we get into the SaaS marketing emails let’s look at the traditional SaaS funnel. 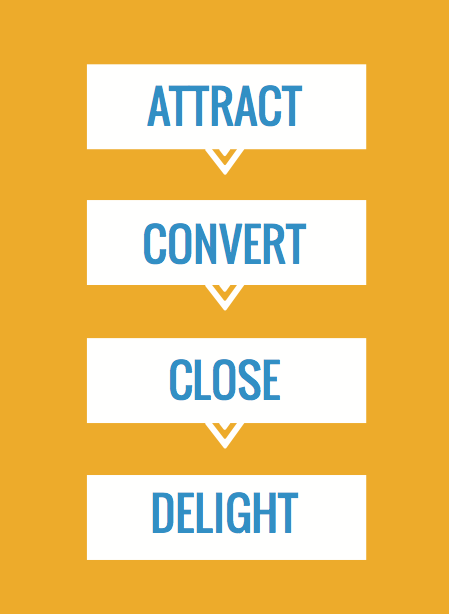 If this looks anything like your growth funnel, you should probably have some customer behavior type emails for each of the steps. The goal of these emails is to move your leads down the funnel, through the sale, and to a step many overlook, to retention. Why is awareness of this funnel so important? Knowing which stage in your funnel your SaaS prospect is in helps you create the right messages at the right time. 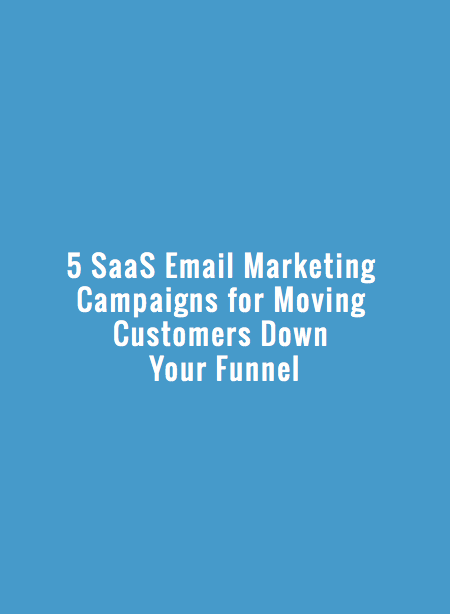 As you understand your prospect and how they move through the different stages of your funnel, you’ll also set different SaaS email marketing goals depending on your customer’s relationship with your brand. Your software company probably has a nice bucket for the types of customers you have and the messaging you might want to create around them. 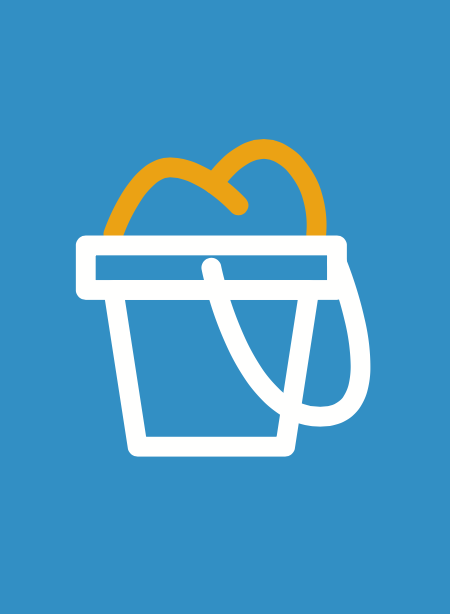 These buckets are defined by their behavior with your brand. Most software companies also focus heavily on customer acquisition and moving prospects into their sales funnel, through the brand awareness stage on to the trial stage, and beyond. These are just a few of the many examples of users of modern SaaS businesses. For the most part, these define the entire sales cycle, which is why it is so important to use SaaS email marketing to communicate with each of them. These are users who have visited your site more than three times and did something promising like visited your pricing or demo page more than one time in the last 30 days. Users who signed-up (and have provided their emails or more) in the last 14 days AND uploaded contacts to the software. Users who signed-up (and have provided their emails or more) within the last 30 days but have not logged-in to activate their accounts. Paying users who have logged in within the last seven days. Paying users who have not logged in within the last 30 days. Paying users who have upgraded to new product or feature sets within the last 30 days. 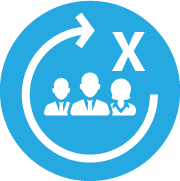 Before we can move on to new messaging, we first want to ensure a customer has taken the steps needed to get there. These messages are based on the behavior, either positive or negative, of a customer. You can get really sophisticated with this type of messaging, but the process of this messaging framework is easy to understand. The Acquisition Email is at the top of your funnel. Your SaaS’ definition of “acquisition” may be different from the guy down the street. These days, “acquisition” can mean anything from an email earned from a free eBook, when someone signs up for your blog, or a hotter prospect who has signed up for a free trial. Regardless, you will need someone’s email before you can use it in your campaign. Campaign Goal: Move prospect from email prospect to sign-up. Campaign Kicks-off When: Prospect has visited the demo/trial page more than twice AND has visited your pricing page at least once in the last 30 days. A more aggressive approach would to kick this off once you get an email from any source. Messaging Strategy: These prospects are still very much in the information-gathering stage and are yet to have committed to anything. They are probably doing the same thing on your competitor’s site. If your emails help them determine why you are a better fit, you’ll have a better chance of moving them down your funnel. Check-in from CEO thanking them and discussing why software was created and the problems it solves. Should have no CTA. Free trials, as opposed to freemium (more on that next), are used generate value within a given period of time (usually 7, 14, or 30 days). The idea is that after using the software, the prospect will be hooked and upgrade before the trial ends. Use Free Trial Activation emails to your advantage by playing to the expiration date of the trial itself. Campaign Goal: Get prospect to use software enough to get value and convert to paid upgrade. Campaign Kicks-off When: Prospect signs up for trial. Messaging Strategy: Use the cadence of messages to your advantage by being frequent with your messaging. The users are “on-the-clock” so to speak, so don’t be afraid to use urgency to your advantage. Thanks prospect for signing up for trial. Sends them checklist or video of what the exact next steps are. Discuss the main focus of software and how it will help them. Trial period reminder. Remind prospect it only takes ‘X’ amount of time to activate account and get value. Trial period reminder. account. Highlight time left in trial. Trial ends tomorrow and a sense of missing out should be established. Offer extension. Let user know trial is over. Encourage them to contact sales to extend and showcase testimonial. Personalized email from CEO or head of marketing looking for feedback on why prospect didn’t move ahead with your product. Make it easy to respond, like a short multiple-choice survey. Don’t rule out users who signed-up but didn’t move forward. 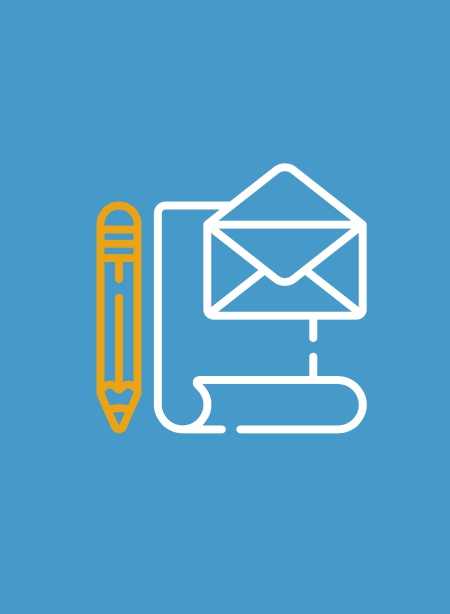 Put them on a long-term nurture or at the very least, add them to your blog email list. The email campaign for freemium users is like that of Free Trialists, with the exception that these users don’t have the clock working against them. Freemium users need to add value very quickly though, as getting them to use your product is what leads them to eventual upgrades. Campaign Goal: Get prospect to use software immediately and frequently. Campaign Kicks-off When: Prospect signs up for free account. Messaging Strategy: Freemium users know that they are only getting a portion of the product that a paying customer gets, but still need to add value in the software. The messaging needs to reflect the value add of the product to encourage immediate and frequent use, meaning your psychology should make them feel like they are missing out if they don’t activate the software to get all the benefits. Thanks prospect for signing up for freemium model. Discuss high-level view of benefits of software. Walk your user down the path of the first steps to start using the software. 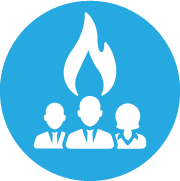 Testimonials combined with brief case studies of how users get value of your software. Remind prospect it only takes ‘X’ amount of time to activate account and get value. Let them know the value their missing out on. Perhaps the user has not found time to activate. Try to find another angle by discussing other secondary features. Personalized email from CEO or head of marketing looking for feedback on why prospect has not activated. It is likely that you already have an upgrade section inside your software. However, it is more likely that you’ll get people to take notice of this action via email than through their dashboards. But you don’t want to promote upgrade actions too soon; users need time to use your software to get value out of it. Value is what will lead them to a sale. Thus, you’ll want to create triggers for email automation that are tied to account usage and upgrade triggers. These can be volume triggers, feature triggers, account triggers or some combination of the three. No matter the trigger for the upgrade messaging, you’ll want to try and define when a user might want to pay more, when they find value based on your metrics, and how to target these engaged users so you reach them at the right time. Campaign Goal: Get freemium users to convert to paid users. Campaign Kicks-off When: Prospect is activated and meets a defined upgrade trigger. 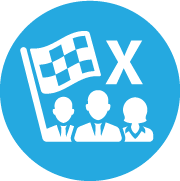 Messaging Strategy: Your messaging will depend entirely on the type of software you are of offering. If you have a software where the freemium usage is limited by volume (like Dropbox), you want to create a trigger to deploy emails around capacity limits. If you have a feature-based software, you’ll need to promote the features they’re missing out on. These emails will be spread out more than the others. Commend them on making a smart decision, remind them of value play, and gently mention premium features with soft CTA. User has demonstrated interest, so feed them a case study with solid metrics related to premium software usage. Offer a temporary promotion with special pricing to incentive people to a sale while creating urgency. Your paying customers should certainly not be overlooked or ignored once they jump onboard. They need to be kept abreast of new features, valuable content like blogs or whitepapers, company happenings, webinars, events, and conferences. This can be as simple as using your blog to announce all new features and updates, and simply having all customers on the blog email list. Campaign Goal: Continue to engage paying customers with value-adds. Campaign Kicks-off When: Customer begins paying. 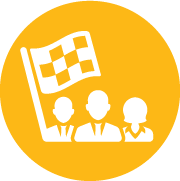 Messaging Strategy: As every company adds new features, publishes new content, and announces updates at their own pace, the approaches for delighting customers will vary. The key here is consistency and to let your customer know you are continually providing value or working on things that provide more value to their lives. 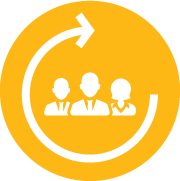 As we have seen, the touchpoints for customer engagement vary based on the behavior and lifecycle of your customers. With this guide, you’ll be able to formulate some meaningful touchpoints based on the customer journey and drive your customers down a path to financial prosperity. While these email marketing campaigns are just guides, they will help you think subjectively about your customer’s journey, what may be holding them back from moving forward with your product, and how you can improve their hesitation. While you improve this journey, your products and processes may change as well. That is perfectly ok and to be expected. Just like your software, your marketing will continually be refined, and you may find that you have many more marketing campaigns for different types of prospects, leads, or paying customers. Have fun with your email messaging and show your personality. If you created a great product you can showcase that in your messages. 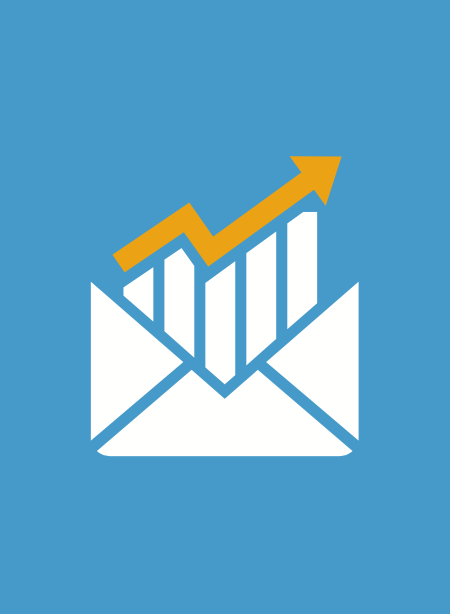 If you need help with your emails or your overall SaaS marketing campaign, we can help with that too.